As much as you try to avoid the risk of injury and illness, unfortunately accidents still happen in the workplace. Workplace injuries can be costly if not attended to appropriately. We can provide a comprehensive incident investigation to determine root cause and develop solutions to prevent reoccurance. We also provide advice and direction if the state safety authority is involved. In the event of a workplace incident, it is crucial to be informed of the necessary steps to take to ensure your compliance and diligence with legislation and the health and wellbeing of those involved in the incident. We perform investigations from minor incidents to serious incidents in small business and huge corporations. 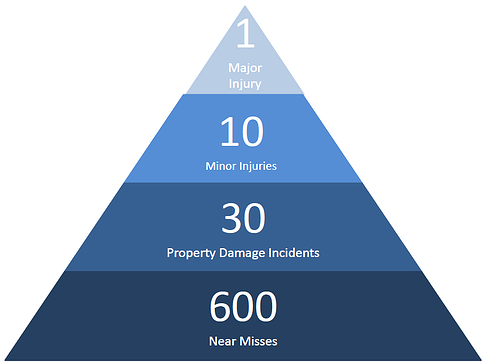 Why investigate all incidents (including near miss)? Major research shows that for every 600 near miss incidents, a major injury/death occurs. We need to learn from the near miss and minor incidents to prevent the serious ones from occurring. 6. Utilize procedures for preserving the scene and collecting causal factor evidence. 7. Techniques for interviewing witness and obtaining statements. In the event of a serious incident we can (if desired) form a partnership with a safety law firm and conduct the investigation under legal privilege – or simply for additional reassurance. 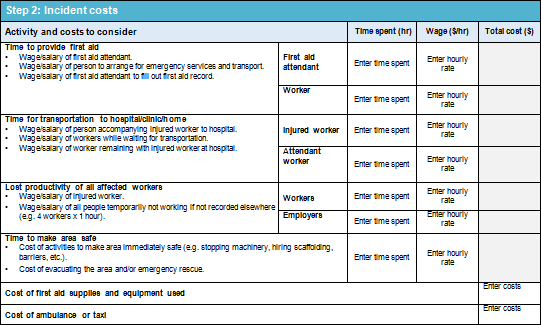 Want to know how much a workplace injury has cost? You can download our FREE injury cost calculator.